We have a great 66 entries for the swim next Sunday, June 16 at 10.00. Please be at the beach for 9.00am for registration and safety briefing. A review based on the weather will be made tomorrow and an email update sent by 6.00pm and posted on this site. 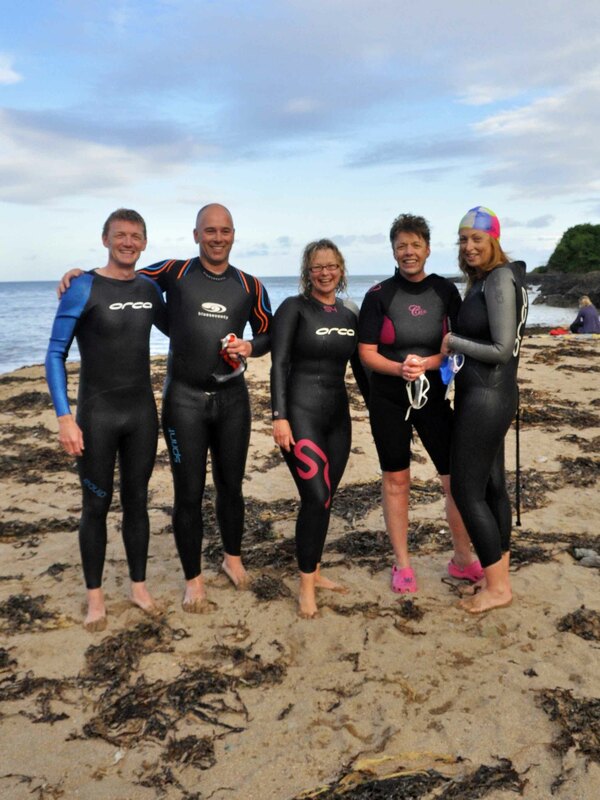 Harry Casey, Sean Foley, Siobhan Russell, Annemarie Fegan & Michelle Smyth – with some of the weed from the waves: but still swimmable! This entry was posted in Information and tagged Open water swimming events, Open water swimming races, Sea swimming events, Sea swimming races by myrtlevilleswimmers. Bookmark the permalink.